The principal product made from hemp seeds today is undoubtedly the seed oil. Purified or refined hemp seed oil is clear and colorless.There is a soft nutty flavor to hemp seed oil and it has minerals, vitamins and antioxidants. Refined hemp seed oil is primarily used in body care products. Industrial hemp seed oil is used in fuel, paints, plastics etc.. Hemp seed oil has is used in the production of some healthcare products. The hemp seed oil has a high nutritional value because its 3:1 ratio of omega-6 to omega-3 essential fatty acids, which matches the balance required by the human body. Learn more about the nutritional value of the hemp seed oil here. 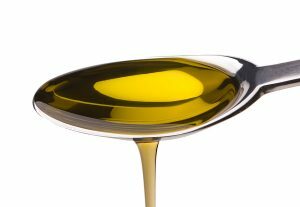 Hemp seed oil is extracted from the hemp seeds by means of a press. The press consists of a slowly rotating worm drive that squeezes out the seed oil and separates off the remaining seed matter known as the seed cake. The whole process is done in an oxygen-free environment in order to reduce oxidation. How can I use hemp seed oil? Further to its superb properties for cleansing and moisturizing the skin, hemp seed oil is also a nutritionist’s dream. Hemp seed oil is unique in its make up and rivals oils such as flax seed oil as a dietary supplement. It contains all of the Essential Fatty Acids (EFAs) that the body requires for healthy day-to-day operation. These EFAs are present in the right ratio for optimum absorbance into the body. Hemp seed oil should be taken daily either in liquid or capsule form, it is a delicious nutty oil and is great in salad dressings or mayonnaise. Due to its precious fragile EFAs it should not be used for frying or cooking, however it can be poured over pasta to give extra flavor. This article was extremely motivating, particularly since I was browsing for thoughts on this matter last Friday. Cant wait to try it in a salad…. can hemp seed oil be used for psoriasis? Human skin, the outer covering of the body, is the largest organ in the body. It also constitutes the first line of defense. Skin contains many specialized cells and structures. It is divided into three main layers viz. epidermis, dermis and hypodermis. Each layer provides a distinct role in the overall function of the skin. Epidermis, the outer most layer of the skin, varies in thickness in different regions of the body. It is the thinnest on the eyelids (0.05 mm) and the thickest on the palms and soles (1.5 mm). The dermis also varies in thickness depending on the location of the skin. It is 0.3 mm on the eyelid and 3.0 mm on the back of the body. The dermis is attached to an underlying hypodermis or subcutaneous connective tissue. The subcutaneous tissue is a layer of fat and connective tissue that houses larger blood vessels and nerves. This layer is important in the regulation of temperature of the skin itself and the body. The size of this layer varies throughout the body and from person-to-person. Hair follicles, sweat glands and sebaceous glands are the main skin appendages. The skin guards the underlying muscles, bones, ligaments and internal organs. There are two general types of skin, hairy and glabrous skin. However, the skin can be dry, sensitive, pale, sagging or tired. People deficient in essential nutrients such as beta-carotene, the B complex vitamins and vitamins C and E often suffer from the drying of the skin. The powder of the leaves serves as a dressing for wounds and sores. Ganja is externally applied to relieve pain in itchy skin diseases. Hemp seed oil is useful for treatment of eczema and host of other skin diseases like dermatitis, seborrhoeic dermatitis/cradle cap, varicose eczema, psoriasis, lichen planus and acne roseacea. By using hemp seed oil, the skin is strengthened and made better able to resist bacterial, viral and fungal infections. Crushed leaves are rubbed on the affected areas to control scabies.